Coffee drinking isn’t as black and white as it used to be, and we can now choose from a seemingly infinite number of options to get our caffeine fix, from simple espressos to lattes infused with any number of syrups and spices. But you no longer need a barista to make a perfectly concocted coffee, as bean to cup coffee machines deliver perfect espresso-based drinks at the touch of a button, giving you complete control over the coffee strength, temperature, and even the frothiness of the milk. 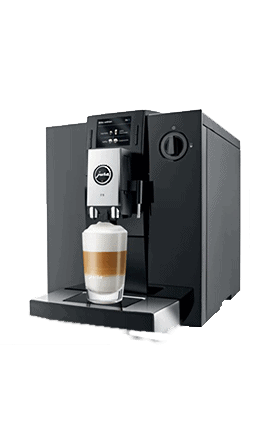 The trouble is, with such a wide variety of machines on offer, each with different features and price points, even the most experienced barista and seasoned coffee drinker could struggle to pick the perfect bean to cup coffee machine. So, if you’re in the market for the perfect home espresso or frothy coffee, our ultimate guide to the best bean to cup coffee machines will help you find the ideal unit to meet both your needs and your budget. The Best Bean to Cup Coffee Machines 2019! The Ultimate Bean to Cup Coffee Machine Guide! The first thing to consider before buying a bean to cup coffee machine is whether it’s actually the right type of coffee maker for you. There are several different types of coffee machine on the market, here’s a quick run-down of the most popular types to help you decide whether bean to cup is the best option for you. What are the different types of coffee machine? Filter coffee machines – A fixture in cafes across the country, filter coffee machines are perfect if you’re after basic black or white coffee. Easy to use and ideal for serving large numbers quickly (filter machines are great for post-dinner party drinks), you simply pop a filter into the machine, along with ground beans and water into the machine, and this is then filtered into a jug to serve. Robust and great value, but very limited in what they can offer. Pod coffee machines – These machines are simple to use and can create all manner of coffees, from simple espressos to caramel latte macchiatos, but your choice is limited to what’s produced by the brand of pod machine you choose. Units are often relatively cheap to buy, but the cost of the pods soon adds up to outweigh any saving you’d make compared to buying a bean to cup machine. Pump machines – Similar to the units used in most coffee shops, home pump machines make espresso by pumping water through a ‘puck’ of ground coffee. Most come with a frothing arm to froth milk for lattes and cappuccinos. 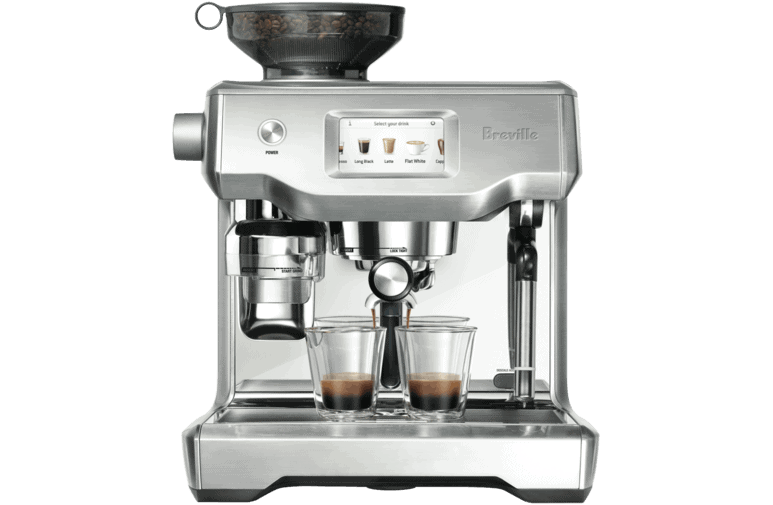 But there’s no built-in grinder so you’ll need to buy a separate grinder, or pre-ground beans. The quality of coffee you produce can be a bit hit-and-miss, depending upon how patient and skilful you are, but is rarely up to the standard that you’ll get from a commercial unit. 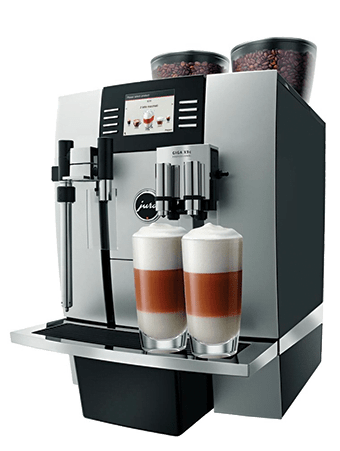 Bean-to-cup machines – These all-in-one machines are the simplest, as well as the most time and cost-effective way to get barista-style coffee at home. Bean to cup machines have a built-in grinder, so all you need to do is add the beans, choose the type of coffee you want, and the machine will take care of the rest at the touch of a button. Although often more expensive than other types of machine, they are quick and easy to use, offer a whole range of coffees, and produce far more consistent results than pump coffee machines. Now you’re armed with enough information to decide which is the best option for you, our bean to cup coffee machine guide will take a look at what else you need to consider before taking the plunge. Remember, these machines can cost anything from a couple of hundred pounds to a couple of thousand pounds, so it’s important you do your research and buy the machine that’s best for you. How much should I spend on a bean to cup coffee machine? Although not strictly the most important consideration, your budget will ultimately determine which machine you end up buying. Although you should never overstretch yourself, it may be worth splashing out a little extra on a machine in a higher price range. If, to save money, you buy a machine that doesn’t tick all the boxes, you’ll not get as much use out of it as you should, and it will end up gathering dust in the corner of the kitchen, or even end up being banished to the bottom cupboard with the juicer and the air-fryer. As with most things, the more you spend the more you get, but unless you have an unlimited budget, there is a cut-off point where the extra outlay might not justify the extra functionality. 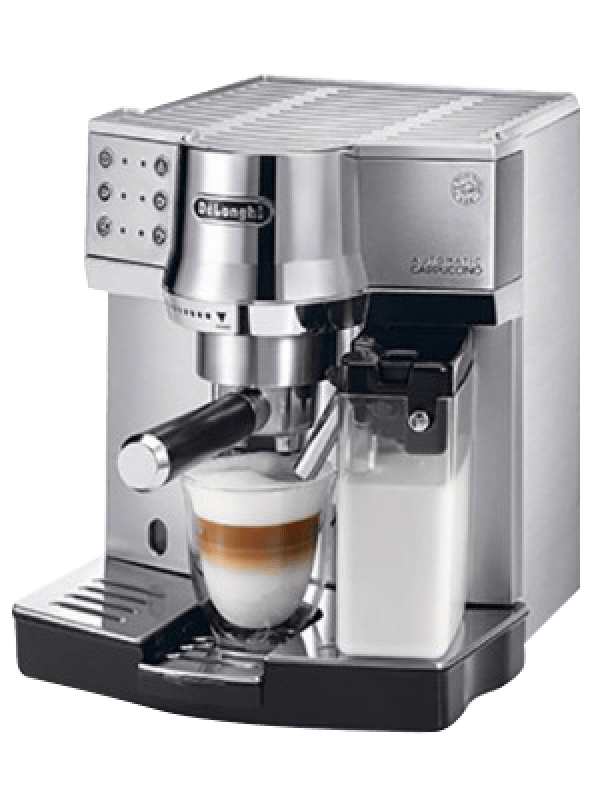 So, when pricing up machines, consider that while the higher end models often, but not always, make more aromatic coffee with a better quality crema (this also depends upon the quality of the beans), you should be able to pick up a great coffee machine for around the £500 mark. More expensive machines also often include more advanced features, offering anything from a wider and more personalised range of coffees to ‘smart’ WIFI connectivity. But try not to be blinded by the technology – if you’re into regular cappuccinos and lattes, there may not be much point on splashing out on a more expensive model that can produce a dizzying array of espresso derivatives. And do you really need your WIFI-enabled smart coffee machine to be able to talk to your WIFI-enabled smart fridge? If you’re buying your first bean to cup coffee machine, you should probably consider something in the £300 to £750 range – go below £300 and there’s a noticeable drop in quality, while spending more than £750 doesn’t guarantee superior coffee making. Once you’ve set your budget, you should then carefully consider exactly what functionality you need. What do I want from my bean to cup coffee machine? Arguably the most important question you need to answer is what exactly you want from your coffee machine, and you’ll need to dig a little deeper into the functionality of each to find the one that’s exactly right for you. Multi-cup brewing – Simply making two cups at once might not seem like such a big deal, but unless you regularly brew up for one, you’ll soon get tired of making each drink individually. Imagine making tea for two, and having to boil up the kettle and let the bag brew in one cup, before doing the same again for the second cup. Multi-cup brewing is much more convenient if you regularly make coffee for more than one. Auto-cleaning – Dealing with ground coffee beans can be a messy business – the grounds can get everywhere (incidentally, cleaning up is another mark against pump machines, which can get very messy). In general, cheaper models tend to need more manual cleaning, so if you’ve not got the time or inclination to maintain your machine, go for the one with the best auto-cleaning features. Again though, there is a cut-off point, and some of the really high-end models have more parts that need to be removed and cleaned to keep the machine in peak condition, which means even more cleaning. No matter what machine you buy, you should be at least prepared to empty and clean the chambers, so it might be best to avoid models that have chambers that are difficult to remove. As far as auto-cleaning features go, many models will have built-in cleaning cycles and auto-rinsing programmes that help keep them clean and hygienic, and also feature descaling programmes that should be run every couple of months to prevent any build-up of limescale. Size and capacity – This may sound obvious, but before you buy, always check out the size of the machine and make sure it’ll fit in your kitchen. And then consider the capacity of the water tank – although a bigger tank takes longer to boil, it has the advantage of making more cups between refills, so consider whether a shorter boiling time or more cups per tank is most important to you. Customisation settings – One of the most impressive features exclusive to bean to cup coffee machines are the customisation settings that enable your machine to make coffee exactly how you like it. But, as ever, you’ll probably have to pay more for a greater range of customisation options. If you buy a low-cost bean to cup coffee machine, it may offer nothing more than settings for grind coarseness and temperature, while more expensive models might offer different cup sizes, coffee strength, automatic milk frothing, pre-infusion (to keep your coffee making more consistent), and even programmable pre-sets to store your perfect combination. Do I really need a bean to cup coffee machine? It’s fair to say that no household really needs a bean to cup coffee machine but, if you really like your coffee, then instant and even cafetiere coffee just won’t cut it, especially if you like prefer more than plain old black or white coffee. And if you regularly buy a latte or cappuccino on your way to work each morning, investing in a bean to cup machine could actually help save money over the course of the year. If we say a medium latte costs around £3.00, and you buy one on the way to work each day, that’s £15 a week. If you work 46 weeks a year (this means you have the statutory 5.6 weeks’ of paid leave each year, including bank holidays) then you’ll spend £690 on your morning coffees. Buying a good quality, £500 bean to cup machine could save you almost £200 a year. The trouble is, making your own espresso-based coffee each morning can be tricky and time-consuming, but a bean to cup machine takes away all the hassle and mess, allowing you to make barista-quality beverages at the touch of a button. Grinding your own beans also guarantees the freshness of your coffee and, unlike pod machines, you’re not limited to what your manufacturer has to offer, and can use any brand or blend of coffee beans. And bean to cup machines also offers a more eco-friendly alternative to both coffee pods and coffee shops, as there’s no plastic waste or non-recyclable coffee cups to consider. In short, if you love coffee and the freshly ground taste and smell at breakfast, a bean to cup coffee machine is ideal. Where can I find reliable bean to cup coffee machine reviews? Once you’ve set your budget and know the sorts of features you need, it’s time to do a little more research and compare what’s on offer. The best way to find out which bean to cup machine for home use is best for you, check out the reviews below. 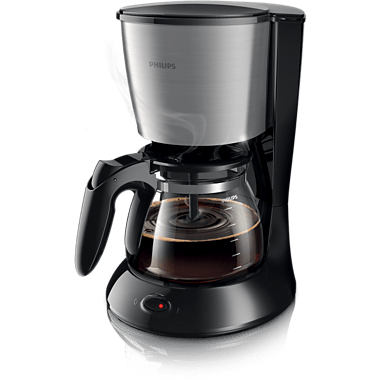 And although there is high-end bean to cup coffee machine commercial models out there, these are primarily designed for regularly making high volumes of coffee, and are unnecessarily expensive for domestic use. Although personal preference means there’s no definitive best bean to cup coffee machine, here’s a list of our favourite models from 2019, alongside a review so you can compare what each has to offer and find the best bean to cup coffee machine to suit your needs. To start, we’ll take a look at five of the best bean to cup coffee machines under £500. As we mentioned earlier, you should be able to pick up a perfectly adequate coffee machine for between £300 and £750, so here are five of the best machines priced around the £500 mark. Suitable for both fresh coffee beans and ground coffee, the silent integrated grinder has 13 adjustable settings to ensure you get the perfect grind, every time. A sophisticated icon control panel allows you to easily prepare any style of coffee, while the innovative cappuccino system combines steam, air, and milk to produce a rich creamy froth for a great cappuccino at the touch of a button. A dual boiler system means you can make two cups of coffee at the same time. I bought this as a replacement for a standard 15 bar ground/pod machine and what a revelation! Very easy to set up and use and doesn’t take up much kitchen space. The downside of this is that water reservoir is quite small and would be irritating if you drank long coffees all the time. Bean to cup coffee in under a minute, this integrated stainless steel burr grinder has 18 different settings, for the perfect grind, every time, and the unit grinds, doses and extracts the coffee for a perfectly blended beverage. It can also be used with pre-ground coffee beans. A separate hot water wand can both pre-heat cups and froth milk with a high-pressure steam outlet that allows for barista-quality milk texturing. This is a dream espresso machine. Obviously, fresh coffee and Technic plays a vital role in how well the coffee is brewed. However, once you’ve tweaked the variables, the machine takes over. I genuinely believe that the espressos and lattes that I am making are by far better than cafe quality. Maybe I’m over exaggerating but it’s seriously incredible coffee. I highly recommend that you bite the bullet, spend the extra cash, and walk away with a superb machine. I’m disappointed that I’ll crave my coffees when I’m out and about…forced to drink “cafe” coffee. Barista-quality coffee at the touch of a button, this stylish bean-to-cup espresso/cappuccino machine has professional 15-bar pump pressure, traditional stainless steel milk frothing arm and built-in burr grinder that is suitable for both fresh coffee beans and ground coffee. This machine has an advanced dual boiler system, so you can make two drinks at once, an adjustable height dispenser, to accommodate cups of different sizes, and an active cup warmer, because you should always serve hot coffee in a warm cup. For easy cleaning, the machine also comes with a removable brewing unit and drip tray. Brilliant product and very simple to use and clean. Delivers perfect bean to cup coffee and I have owned this for over a year and working perfectly. Only recently there was an issue with the water and it made a heavy ‘clunking’ sound. You just need to turn the milk steamer dial to clear the water pipe (refer to You tube videos much more clearer and has more info than the manual). We use it for our lattes, Americanos and espressos. Does a wonderful job. Does not take up much space on the counter and quite compact. This simple and intuitive machine allows you to prepare your coffee to three strength intensities at the touch of a button, and makes perfect coffee whether it’s a warming latte or a Frappuccino to cool down. Choose between espresso or Americano in a range of cup sizes, and make two cups at once thanks to the unit’s dual cup system. I have had a few bean to cup machines over the past 10 years and this one makes the best tasting coffee of the lot. Excellent easy coffee machine if you like espressos/Americanos, milk drinks are easy too. 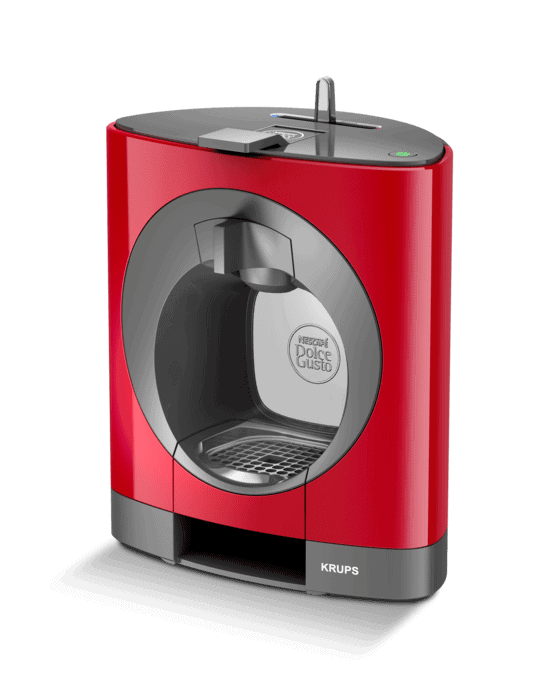 Simple to use, one-touch operation, this is the ideal entry level machine for coffee lovers. For unparalleled freshness, simply add your coffee beans into the grinder then personalise the strength and length of coffee to make the perfect espresso-based drink. With the option to make two cups at once, and a frothing nozzle for milk-based drinks, this machine is easy to use, clean and maintain. A fab machine. Coffee as you love it. Set it up to suit your own taste. Don’t know how they do it but ordinary black coffee is so rich and creamy. It’s just brill – buy it! Wished I had bought this years ago – it really is that good. Now you’ve had time to compare bean to cup coffee machines and work out which is the best for you, here are a few final considerations. Why use coffee beans over ground coffee? There’s nothing quite like the taste and smell of freshly ground coffee, and that’s because beans start to lose their aromatic oils as soon as they are ground. This affects both the aroma and taste, and is the main reason that ground coffee, or that made from pods, never tastes or smells quite as good. What should I look for in a bean to cup coffee machine? When you look at the tech spec of each bean to cup coffee machine, you’ll see things like pressure and wattage listed, and here’s what you need to look out for. Higher wattage machines usually take less time to heat water, which could be important if you need your coffee in a hurry, while the pressure of the machine relates to the rate at which steam is pushed through the coffee. Pressure is important as it can affect the bitterness of the coffee, and your machine should operate at between 15 and 19 bars. It’s also worth considering the brand of machine you buy, and while this shouldn’t be the major deciding factor, brands like De’Longhi and Melitta are known for making quality units for use in the home. And because you’ll be spending at least the best part of £500, it’s also worth considering the length of the warranty that comes with your machine. So, why should you buy a bean to cup coffee machine? Put simply, bean to cup coffee machines are the most effective and simplest way to make your own, barista-quality espresso-based coffees. And there’s nothing like the smell and taste of freshly ground coffee to get your morning off to the perfect start.